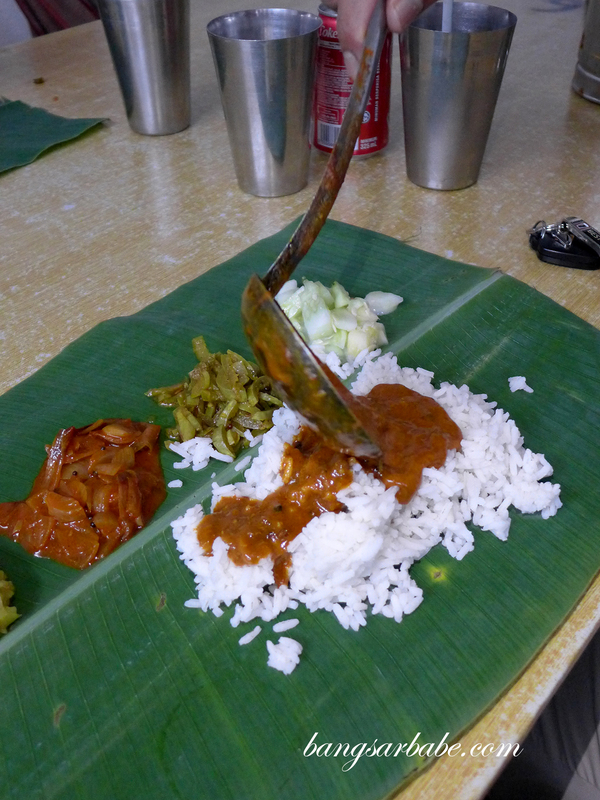 Banana leaf rice has become one of my favourite things to eat especially on days when I need some carbo-loving. 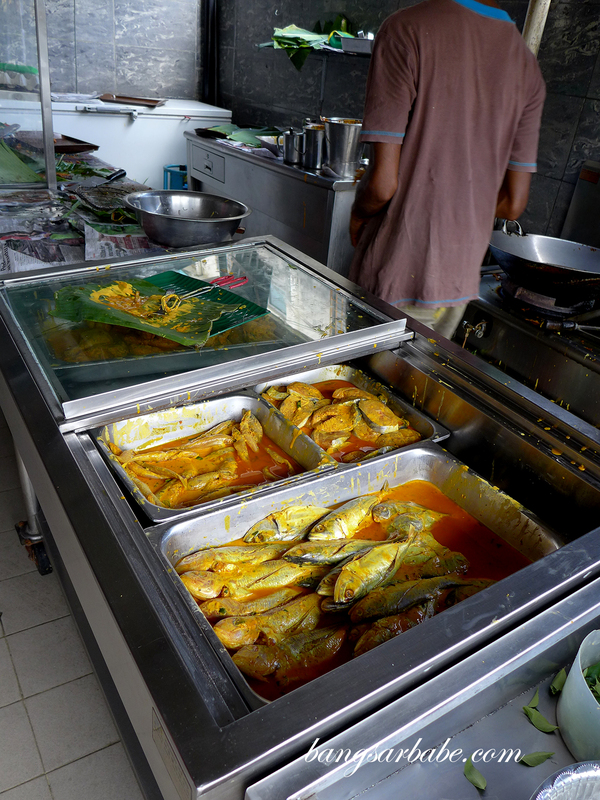 There’s nothing quite like it – parboiled rice on fresh sheets of banana leaf, accompanied by vegetarian side dishes and drenched in assorted curries. 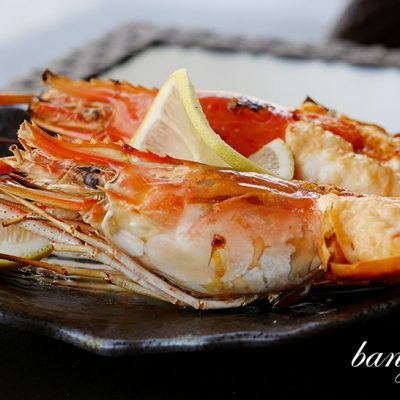 It is spicy, packed with flavour with a heady scent of spices. 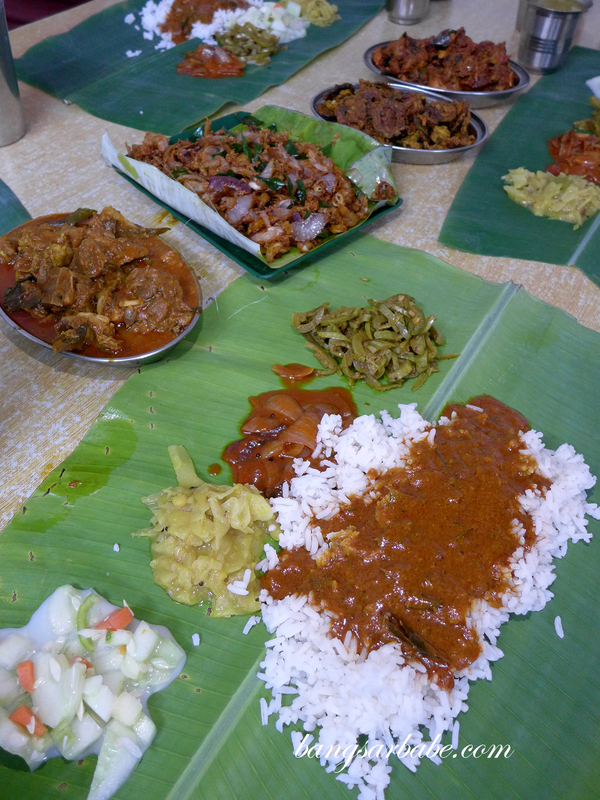 It has become such a norm for me that I missed it terribly even during my short trip to London, where Indian food was aplenty but none tasted like the banana leaf rice meal I love. 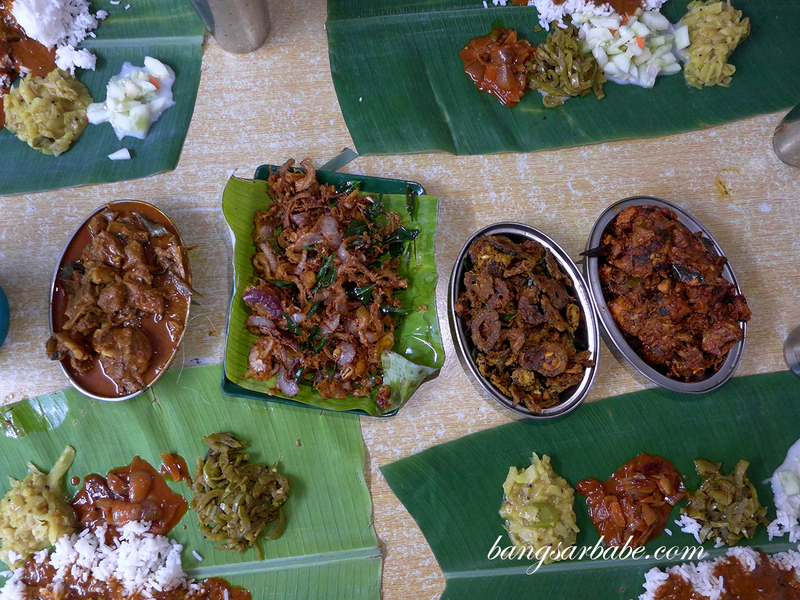 If I had to choose one banana leaf rice meal that left a lasting impression, it would be the one at Sri Ganapathi Mess, a restaurant that operates in a converted bungalow in PJ Old Town opposite Sekolah Kebangsaan Petaling Jaya. 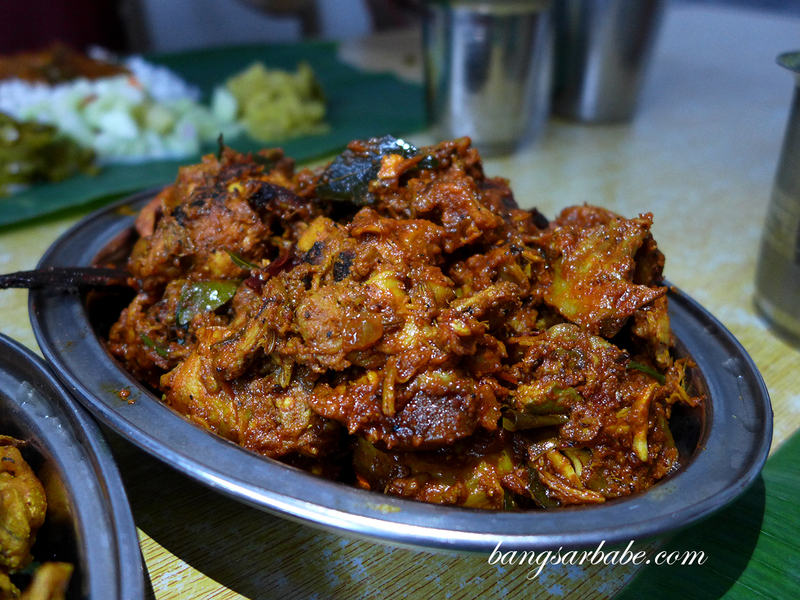 What I love about Sri Ganapathi is its setup – feels like you’re dining in someone’s home where their mother comes around filling your banana leaf with loads of goodies. Only difference is, you pay for your food at the end of the meal. 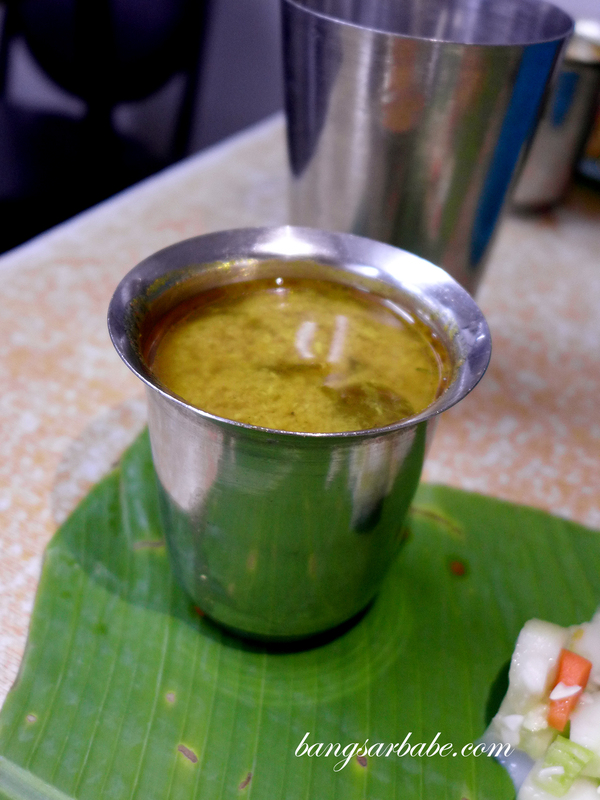 The highlight here is the crab rasam which I term, soup for the soul. Every sip was invigorating and tied the entire meal together nicely. 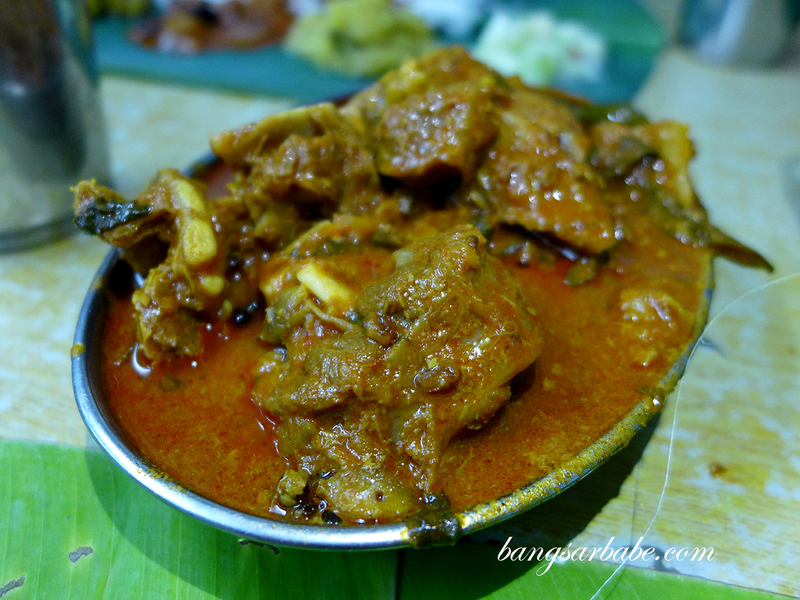 If I had to pick one dish to recommend, it would be the mutton varuval – tender chunks of mutton, terrifically spiced and absolutely lip-smacking with rice. Also good was the deep fried squid, cooked just right and tossed with tasty bits of fried onion rings for texture and sweetness. I liked the chicken masala but didn’t fancy the bits of spare parts used to cook the dish. Had to go through the gravy to suss out the meat from the liver. 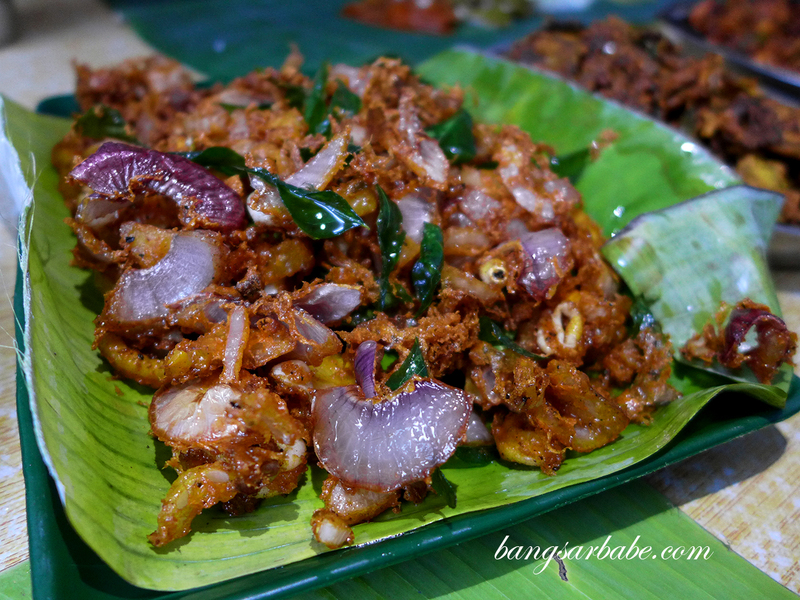 I almost always order the deep fried bittergourd when I eat banana leaf rice; this version was decent, albeit not the best I’ve tried. Still a good accompaniment with rice and curries. 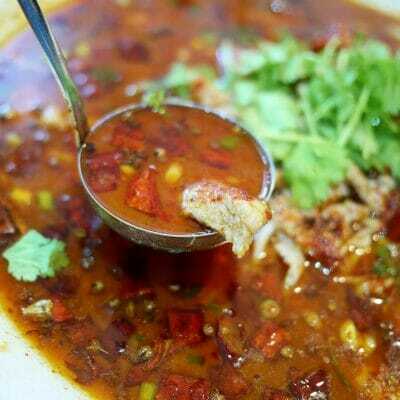 Go for a mix of their fish, chicken and crab curry, and make sure they drench the rice for extra oomph. At least that’s how I like to eat my rice, with crushed papadam for crunch. 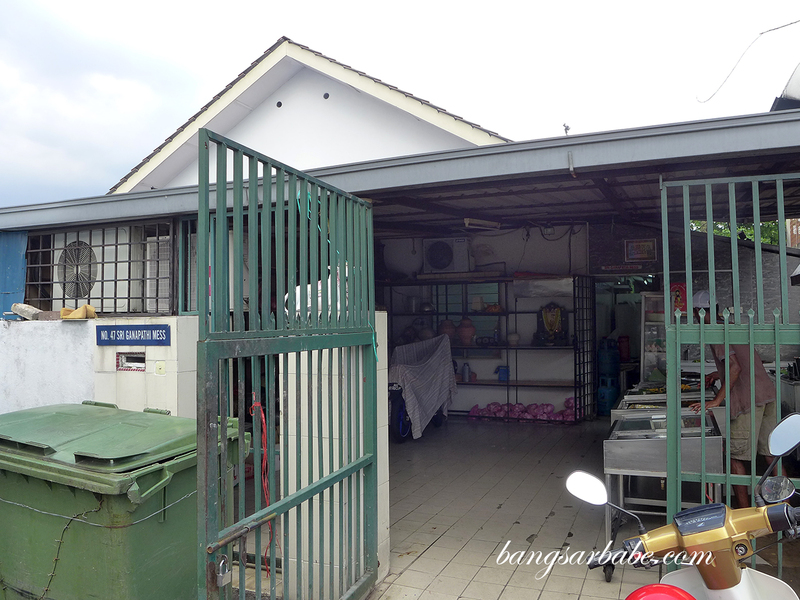 Service was pretty efficient during my first visit, but it can vary depending on the crowd. rif wasn’t as lucky when he went with a good friend a few weeks later. 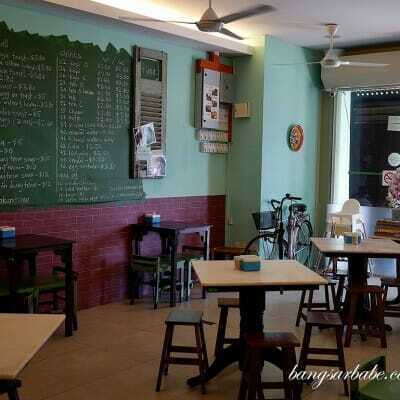 Thank you Shah and Val, for taking us there and for the lunch treat! 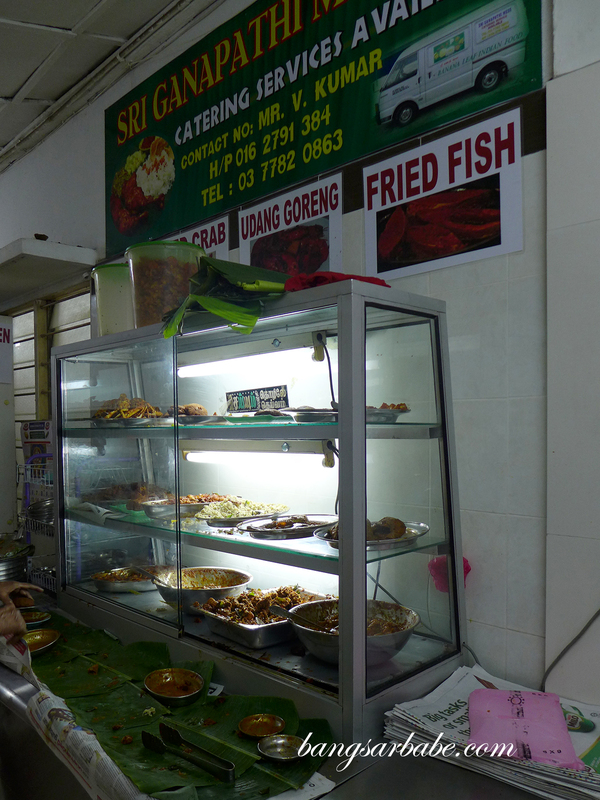 Verdict: Best banana leaf rice I’ve eaten so far. Definitely worth a visit!